With the fireworks of the Thessaloniki-based company, the show in Aristotelous square! Which company built the fireworks that illuminated the sky of the city on New Year’s Eve? 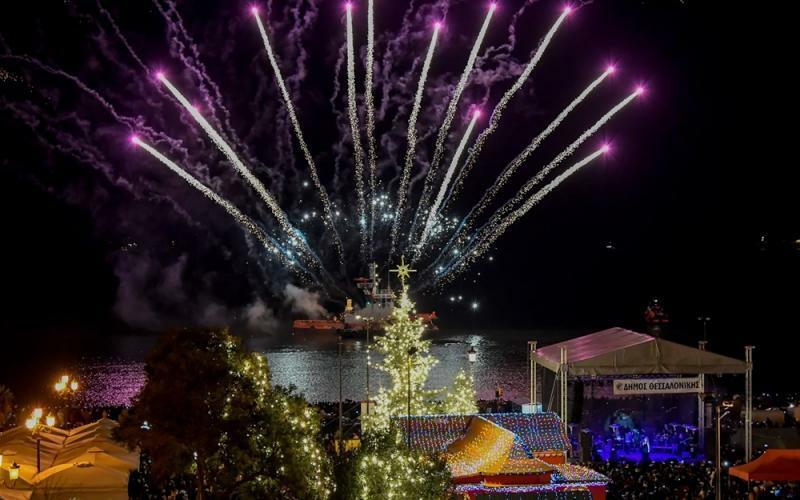 A fireworks company based in Thessaloniki with a 70+ years history created the impressive event for the New Year’s Eve. The show was enjoyed by the citizens and visitor at the arrival of 2019 in Aristotelous Square. The thousands of fireworks launched from the sea and enlightened the sky above the Thermaic Gulf were constructed by MAVIPI. The company undertook the event, sponsored by the TCCI. The engineers of the company, the brothers Karagiannopoulos, Nikos and Prodromos, are engineers in the field. They have received all the scientific training they have and their passion to present New Year’s Eve something special for the city. MAVIPI once again successfully undertook an event, winning the admiration of the people in Thessaloniki. The first fireworks manufacturing and trading company in Greece with more than 70 years of experience in the field.